Note : This information is as per the Laws of USA and as available on ACLU website. When in public spaces where you are lawfully present you have the right to photograph anything that is in plain view. That includes pictures of federal buildings, transportation facilities, and police. 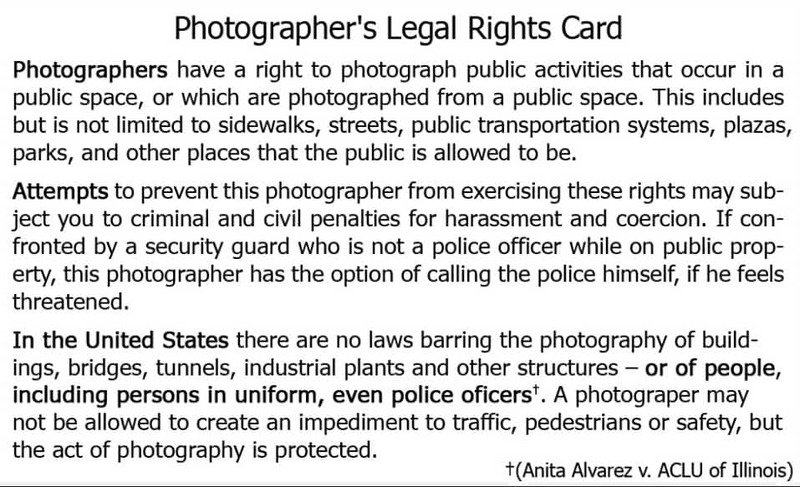 Such photography is a form of publicoversight over the government and is important in a free society. If the officer says no, then you are being detained, something that under the law an officer cannot do without reasonable suspicion that you have or are about to commit a crime or are in the process of doing so. Until you ask to leave, your being stopped is considered voluntary under the law and is legal.